"We used Kitchen Art Design because we had used this company before and we were impressed by their product and the staff. Good designers and good installers." 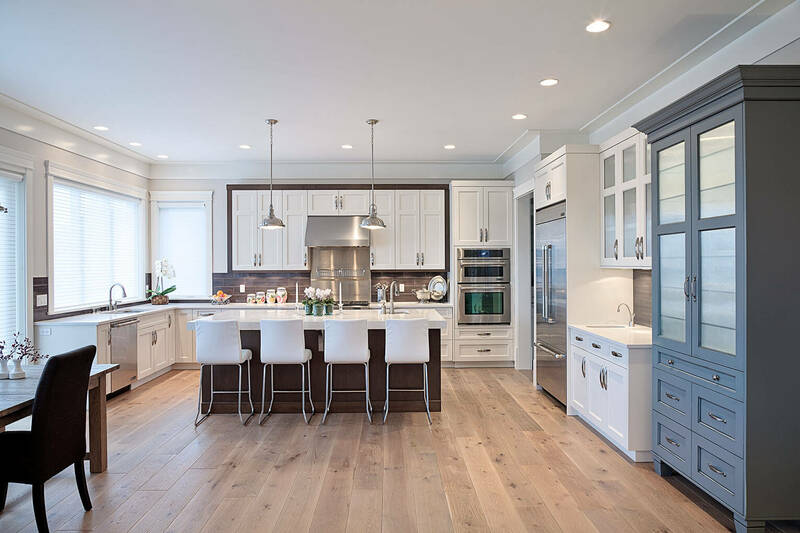 For over 30 years, Kitchen Art Design in Surrey, BC has designed, manufactured and installed custom cabinetry for families and custom homes all over the Lower Mainland of British Columbia. We create 100% unique cabinet designs that match our clients' vision and spaces; providing the highest quality and superb function to any living space that continues to impress for years to come. Our cabinet makers unique ability to carefully construct kitchen cabinetry in Surrey guarantees exceptional quality, durability and personalized design. From custom kitchen cabinets to bathroom vanities and everything in-between our team stands by the Kitchen Art Design proven process. 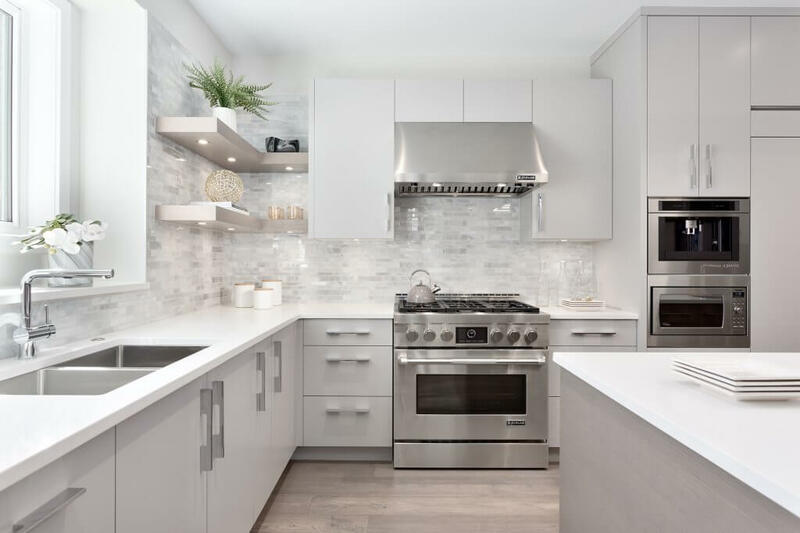 From vision to design and execution, our unique creative process is kept within the Kitchen Art Design family to ensure our high standards of care and attention are consistent through every step of the project including the final install of cabinets. 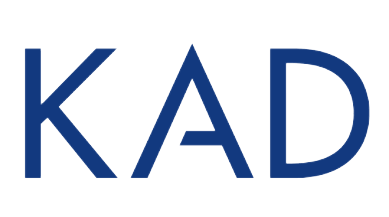 We proudly serve Surrey and the Lower Mainland out of our headquarters in Surrey, BC. Our team of accomplished designers and skilled cabinet makers showcase their work within our kitchen and bath showroom. Can’t make it out to our showroom? Take a look at our online gallery to see some of our successful kitchen and bathroom renovations. 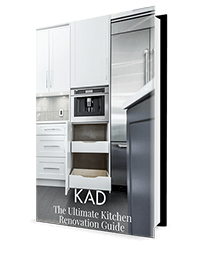 Explore the possibilities of a re-imagined KAD kitchen designed and built just for your Surrey home. "We have used Kitchen Art twice over the last few years. They made a custom wall unit to match our Kitchen cabinets and custom cabinets for our ensuite bathroom. Very happy with the workmanship and they still look great. Good company to work with." Whether you’re looking to update your ensuite with custom bathroom cabinets, add storage to your laundry room or create a warm and inviting kitchen; we work with you to design and build incredible storage solutions that resonate with your vision. Our award winning team, proudly brandish two coveted Houzz awards, honouring exceptional achievements in our field - both as the Best of Houzz; in 2017 for Best Design (most popular portfolio), and in 2018 for Best Service (client satisfaction).